Draft: 2013, Washington Nationals, 4th rd. Nicholas Jhoncarlo Pivetta (pronounced pih-VEH-tah)…2011 graduate of Lambrick Park High School (Victoria, BC)…Was a member of the Canadian Junior National Team from 2009-12… 2013 graduate of New Mexico Junior College…Hobbies: Fishing, outdoor activities and video games…Signed by: Mitch Sokol. Among all NL starters, ranked 5th in SO/9.0 IP (10.32), 6th in SO rate (27.1 %), 8th in SO (188) and 9th in SO/BB (3.69)...His 10.32 SO/9.0 IP was the 2nd-highest ever by a qualifying Phillies pitcher, trailing Curt Schilling's mark of 11.29 in 1997...He and Aaron Nola became the second pair of Phillies teammates 25 or younger to each strike out 180 batters or more (other: Charlie Ferguson and Dan Casey, 1886).. Was the first Phillie to finish in the top five in the NL in SO/9.0 IP since 2011 (Cliff Lee, 4th)... Made first career Opening Day roster...Had a career-best 18.0-inning scoreless streak (since 9/18/17) come to an end in the third inning of his season debut, 3/30 at ATL... Did not allow a home run in his first 25.2 innings of the season...Posted a 3.26 ERA (21 ER, 58.0 IP) and held opponents to a .230 AVG through the end of May...Matched up against ATL RHP Mike Foltynewicz 4 times in the Phillies' first 46 games, first time two ML starters squared off 4 times in first 46 team games since 1959 (Philadelphia's Robin Roberts and MIL's Lew Burdette)... Recorded his 100th strikeout of the season before reaching 85.0 IP, becoming the third Phillies starter to do so since 1998 (Curt Schilling, 1998 and Vince Velasquez, 2018)...On 5/16 at BAL, became the third Phillies pitcher since 2010 with 7.0+ IP, 2 or fewer hits and 11+ strikeouts in a game (others: Halladay's perfect game, 5/29/10 at FLA and Hamels' no-hitter, 7/25/15 at CHI)... Allowed just 1 run in 19.0 IP (0.47 ERA) over 3 starts, 5/16-27, including a 14.0-inning scoreless streak... Had a streak of 16 straight starts allowing 6 or fewer hits, 9/18/17-6/7/18, becoming one of four Phillies since 1908 with a streak that length...Struck out a career-high 13 batters on 6/18 vs STL...Made his first ML relief appearance, 7/1 vs WSH (W, 1.0 IP)... Became the first Phillie to start at a neutral site (Bowman Field, Williamsport for Little League Classic) since Jack Sanford on 9/3/57 at BKN at Roosevelt Stadium... On 8/25 at TOR, became the first Canadian-born Phillie to pitch in his home country since Paul Quantrill started for the Phillies on 7/15/95 at MTL. Among ML rookies, was 1st in SO/9.0 IP (9.47, min. 125.0 IP), 3rd in SO (140), 4th in starts (26) and 7th in innings (133.0)... Was tied for the 9th-most SO in a season ever by a Phillies rookie... In Phillies history, only Cole Hamels (145 SO in 23 starts in 2006) and Dennis Bennett (149 SO in 24 starts in 1962) had more strikeouts in as few starts... Had the highest SO/9.0 IP and SO rate (24.0%) of any Phillies rookie ever to make at least 25 starts... His 133 SO were the 5th-most by a Phillies starter in his first 25 career starts (most: Hamels, 160 SO)... Attended ML spring training and played for Team Canada in the World Baseball Classic... Began the season with Lehigh Valley (AAA) and was named Phillies Minor League Pitcher of the Week, 4/6-16... Recalled on 4/30 and made his ML debut that day at LAD as the starting pitcher (first of 4 stints with the Phillies)... Was the first Canadian-born starting pitcher to debut for the Phillies since Scott Mathieson on 6/17/06 vs TB... Earned his fi rst ML win, 6/5 at ATL... Recorded a career-high 11 SO, 8/16 at SD, the most by a Phillies rookie since Cole Hamels struck out 11 on 9/16/06 at HOU... Became the only Phillie since 1913 to fi nish a start with at least 11 SO in 5.0 or fewer IP... Posted a 1.06 ERA (2 ER, 17.0 IP), 1.12 WHIP (8 BB, 11 H), 19 SO and .186 OPP AVG (11-59) in his final 3 starts, ending his season with an active 16.0-inning scoreless streak. Began the season with Potomac (A)... Allowed 2 ER or fewer in 12 of his 14 starts (85.7%)... Limited RHH to a .476 OPS whereas LHH posted an .820 OPS against him... Allowed 3 hits or fewer in 8 of his 14 starts... Had a 13.0-inning scoreless streak, 4/15-27... Promoted to Harrisburg (AA) on 7/8... Was traded to the Phillies on 7/28 and assigned to Reading. Spent the season with Hagerstown (A)... Finished 3rd in the South Atlantic League in wins (13) and was T-1st among all WSH minor leaguers... Named a SAL midseason All-Star... Won 5 consecutive starts, 4/26-5/20 (5-0, 1.98 ERA, 6 ER, 27.1 IP)... Was on the DL, 5/21-6/2 (left ankle strain)... Tossed 6.0 hitless innings in a start, 6/20 at Greensboro... Following the season, was named the 10th-best prospect in WSH's minor league system by Baseball America. Began his pro career with the Gulf Coast League Nationals (R)... Allowed 1 ER in 11.1 IP over his fi rst 3 professional starts (0.79 ERA)... Promoted to Auburn (A) on 8/6 for the remainder of the season... Allowed 3 ER or fewer in all 5 starts. April 17, 2019 Philadelphia Phillies optioned RHP Nick Pivetta to Lehigh Valley IronPigs. August 27, 2017 Philadelphia Phillies recalled RHP Nick Pivetta from Lehigh Valley IronPigs. August 23, 2017 Philadelphia Phillies optioned RHP Nick Pivetta to Lehigh Valley IronPigs. August 22, 2017 Philadelphia Phillies recalled Nick Pivetta from Lehigh Valley IronPigs. August 16, 2017 Philadelphia Phillies optioned RHP Nick Pivetta to Lehigh Valley IronPigs. June 5, 2017 Philadelphia Phillies recalled Nick Pivetta from Lehigh Valley IronPigs. May 18, 2017 Philadelphia Phillies optioned RHP Nick Pivetta to Lehigh Valley IronPigs. April 30, 2017 Philadelphia Phillies recalled Nick Pivetta from Lehigh Valley IronPigs. March 14, 2017 Philadelphia Phillies optioned RHP Nick Pivetta to Lehigh Valley IronPigs. November 18, 2016 Philadelphia Phillies selected the contract of Nick Pivetta from Lehigh Valley IronPigs. August 12, 2016 RHP Nick Pivetta assigned to Lehigh Valley IronPigs from Reading Fightin Phils. July 9, 2016 Reading Fightin Phils activated RHP Nick Pivetta from the 7-day disabled list. July 1, 2016 Reading Fightin Phils placed RHP Nick Pivetta on the 7-day disabled list. Strained groin. April 2, 2016 RHP Nick Pivetta assigned to Reading Fightin Phils from GCL Phillies. September 9, 2015 RHP Nick Pivetta assigned to GCL Phillies from Reading Fightin Phils. September 1, 2015 RHP Nick Pivetta assigned to Glendale Desert Dogs. July 29, 2015 RHP Nick Pivetta assigned to Reading Fightin Phils. July 8, 2015 RHP Nick Pivetta assigned to Harrisburg Senators from Potomac Nationals. April 7, 2015 RHP Nick Pivetta assigned to Potomac Nationals from Hagerstown Suns. June 3, 2014 Hagerstown Suns activated RHP Nick Pivetta from the 7-day disabled list. May 23, 2014 Hagerstown Suns placed RHP Nick Pivetta on the 7-day disabled list. 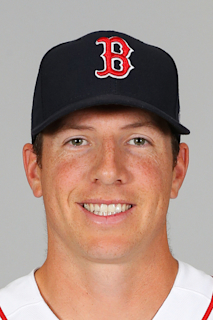 March 31, 2014 RHP Nick Pivetta assigned to Hagerstown Suns from Auburn Doubledays. August 6, 2013 RHP Nick Pivetta assigned to Auburn Doubledays from GCL Nationals. July 13, 2013 Nick Pivetta roster status changed by GCL Nationals. June 20, 2013 RHP Nick Pivetta assigned to GCL Nationals. June 19, 2013 Washington Nationals signed RHP Nick Pivetta.